Now that the holidays are over and we can get back to our healthy groove, readers are requesting Lo Carb recipes! 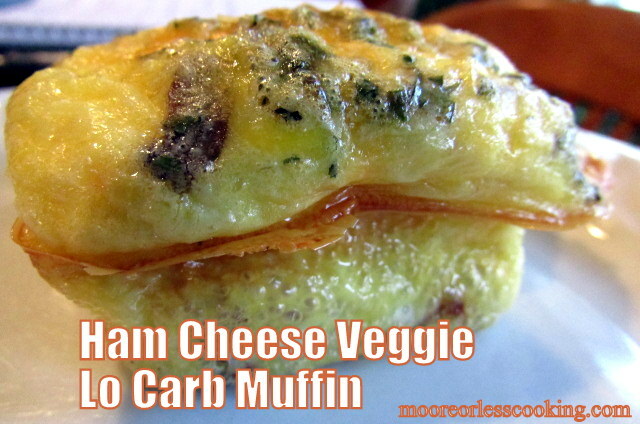 Ham, Cheese, Veggies and egg beautifully whipped up to be a Lo Carb, guilt free muffin. I used my Pampered Chef Muffin pan, no need to spray this non-stick pan. 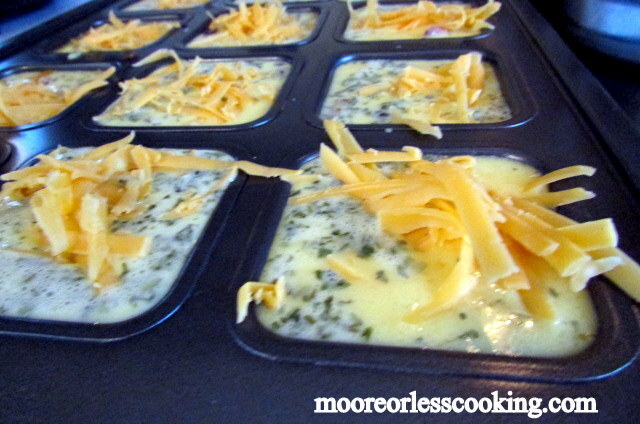 I filled each cup with sauteed veggies, ham and poured egg mixture to the top, sprinkled with cheese. 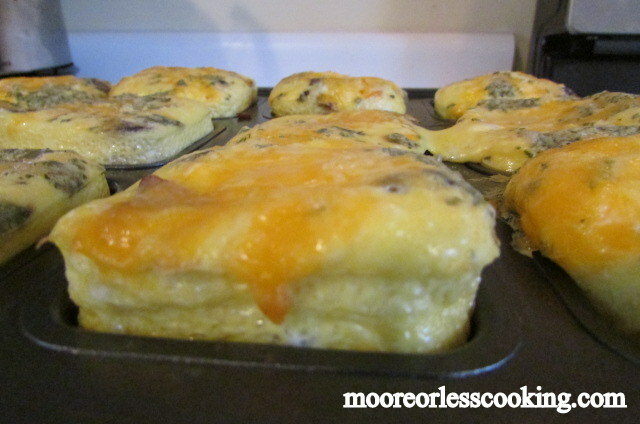 The muffins rise while in the oven, like a souffle, but then deflate after cooling down. Serve warm. Refrigerate left overs, heat for 1 minute in microwave for a quick breakfast. This is a delicious and easy, guilt free entree, Lo Carb! 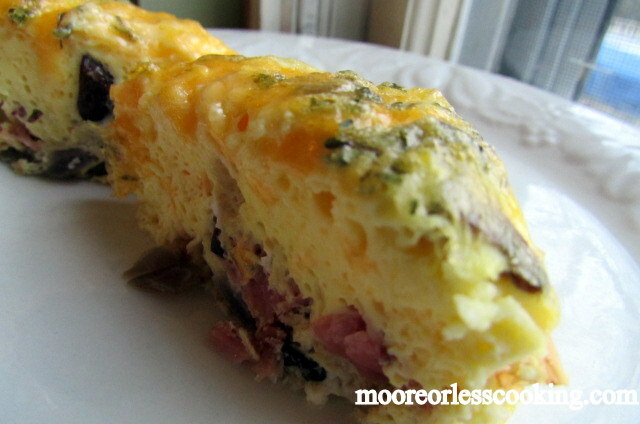 You can substitute the ham for bacon, sausage, or turkey sausage. Cheddar cheese can be subbed too! Add any type of veggie you like. Have fun with this recipe! In a saute pan, melt butter, saute onion until soft, add pepper, mushrooms, saute for another 2 minutes, add ham saute for 2 minutes. Set aside. In a large bowl, whip eggs until blended, add milk, whip again, add herbs. 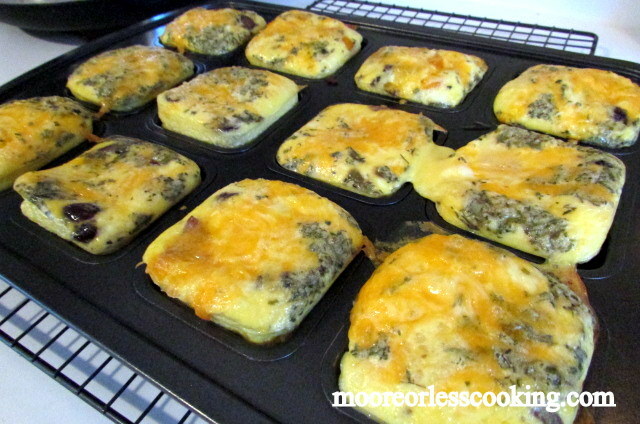 In a non stick muffin pan, add 1 tsp of ham and veggie mixture to bottom of muffin pan, fill up with egg mixture, sprinkle with cheese. Bake in oven for 20 minutes or until not jiggly. Let cool for 2 minutes. Serve while warm. You make doing low carb so fun and YUM! These are so cute! Love these! Perfect for breakfast on the go! Thank you Mary! Perfect for a busy lifestyle!